QuEST Forum is a global association of companies dedicated to impacting the quality and sustainability of products and services in the ICT industry. As the voice of the industry, QuEST Forum provides forward-thinking companies a collaborative environment to positively impact business results and customer experience. Our data and insights are used to de-risk technology introduction, improve business performance and increase customer satisfaction. At Unified Communications we understand fiber, and we understand telecommunications. We are a premium supplier of fiber optic components such as fiber optic closures, fiber distribution panels and fiber hubs. We are the partner of choice for OSP in the Caribbean and Central America. We have participated in a variety of FTTH projects throughout the region, offering our clients flexibility, and adaptability at a low cost. CommScope (NASDAQ: COMM) helps companies around the world design, build and manage wired and wireless networks. Our network infrastructure solutions help customers increase bandwidth; maximize existing capacity; improve network performance and availability; increase energy efficiency; and simplify technology migration. You will find our solutions in buildings, data centers, venues and outdoor spaces; at wireless cell sites and in cable headends; and in airports, trains, and tunnels. Vital networks around the world run on CommScope solutions. 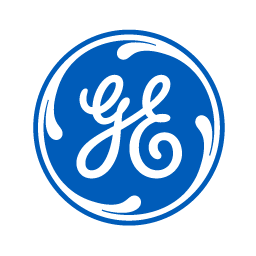 “GE Energy Connections designs and deploys industry-leading technologies that turn the world on. We optimize energy to ensure we provide safe, efficient and reliable electrical power. Uniting all the resources of the world´s first digital industrial company. PRIME TPS is a Technology products Distributor / VAR for the Caribbean region. We serve the Telecom, Industrial, Educational and Utilities Markets. CONVERLOGIC is a relatively young company located in France and USA, yet its founders bring with them over 30 years of successful experience in Telecommunications. We provide a complete range of SIM/USIM/UICC cards, integration and consultancy industry. Our expertise in VAS services, smart card R&D and OTA/Device Manager platforms, bring our customers the possibility to reproduce the same Telecom Benchmark histories with their customers/clients. CONVERLOGIC believes in the new age of telecom business, high-end services and loyal customers supported by a flexible platform. Converlogic found a very good opportunity to empower their customers with their wide experience in GSM/UMTS/LTE services in this new age of 4G/5G technologies. We provide top-rated network and content security, as well as secure access products that share intelligence and work together to form a cooperative fabric. Our unique security fabric combines purpose-built ASICs, an intuitive operating system, and applied threat intelligence to give you proven security, exceptional performance, and better visibility and control–while providing easier administration. Fortinet is headquartered in Sunnyvale, California, with offices around the globe. Founded in 2000 by Ken Xie, the visionary founder and former president and CEO of NetScreen, Fortinet is lead by a strong management team with deep experience in networking and security. ForeScout is the leading provider of clientless network access control (NAC) and policy compliance management for the global enterprise. We introduced our flagship CounterACT family of products in 2005, helping to pioneer and evolve the NAC industry. Our technology was developed in close partnership with our customers, and is differentiated by its ability to simplify the arduous tasks of access control and policy management. Today, CounterACT is trusted and proven in over 500 Fortune -1000 enterprises and government/military agencies worldwide, where it serves to enforce security-policy compliance and enable streamlined business processes. We create value for our customers. Together with telecom carriers, Huawei has built over 1,500 networks, helping over one-third of the world’s population connect to the Internet. Together with our enterprise customers, we employ agile enterprise networks, including open cloud networks, to drive efficient operations and agile innovation across domains like Safe City, finance, transportation, and energy. With our smart devices and smartphones, we are improving people’s digital experience in work, life, and entertainment. In the Caribbean region has we provided Telecommunication Installation Services as a subcontractor for mains Service Providers such as AT&T, Claro, T-Mobile, Open Mobile, Digicel, Orange, Tricom Viva, Ericsson, Huawei, Alcatel-Nokia. Our crews are OSHA trained, Tower certified, and have experience in: Enclosure Installation, Decommissioning, Security Solutions, RF Construction, LTE Technologies, Modernization, Power Solutions, Fiber Solutions, Measurement Testing, HUB Construction, Fiber Management, Drawings, Wireless Solutions, Tie Cables, Cutover & relocation. Eaton provides energy-efficient solutions that help our customers effectively manage electrical, hydraulic and mechanical power more efficiently, safely and sustainably. Eaton has approximately 97,000 employees and sells products to customers in more than 175 countries. 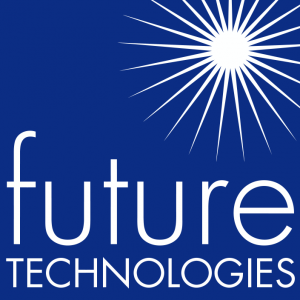 Future Technologies is a professional services company specializing in the assessment, planning, design, implementation, and support of innovative communications solutions focused on wireless infrastructures and their accompanying technologies for commercial and military customers around the world. Future Tech Maintains a strong concentration on emerging standards such as 4G technologies; which include WiMax (Fixed and Mobile) and LTE (Long Term Evolution) products, as well as established cellular (EVDO, GSM, and CDMA) and Fixed Wireless Backhaul solutions. Power & Tel specializes in the procurement, sales, and material management / logistics of products to the global telecommunications marketplace. Headquartered in Memphis, Tennessee- the company currently operates out of 17 different facilities and ships to customers in 62 countries. The company has 49 years of industry experience which includes established and significant relationships with the manufacturers that provide materials required to meet your needs. We are ISO: 9001 and TL: 9000 certified to ensure industry quality standards are maintained throughout relationship. The products distributed include fiber optic and copper cable; central office/headend and remote electronics; optical networking; outside plant material; cabinets and closures; tools and safety equipment; test gear; wireless equipment; customer premise material; and home/office networking products. These products are stored in our various distribution centers that together comprise over a half million square feet of inventory space. [MDG] Mobile Distribution Group is a global distributor of electronic devices and accessories, established in 2007. MDG staff consists of wireless experts with over 100 years combined of industry experience and global market knowledge. We are authorized distributors for CAT Phones, Kodak Phones, AKUA Mobile, and Samsung, Urbanista, Xqisit, Adidas and Diesel Accessories. In addition, we have strong relationships with HTC, Hyundai,Alcatel.LG, Apple, Huawei, Motorola, Nokia and Sony. MDG services wireless operators, retailers, distributors, the open trade market and unconventional channels. MDG’s headquarter and distribution center are strategically located in Miami, Florida, close to the number one cargo airport in the US. This guarantees a fast access to customers and adds speed to distribution operations. MDG has offices also in Central America. This presence continues to expand, through our own investments and our strategic collaborative partnerships worldwide. Mobile Distribution Group operates through long-term partnerships paying strong attention to face-to-face meetings and to the understanding the local markets, customer channels and end-users. MDG prides itself on its capability of providing its customers with high quality, leading-edge technology products and customized services to fit each specific market. Ictual is a dynamic and innovative provider of cutting edge Telecom IT software solutions. Ictual was established on Curacao in 1992. Over the years the company has grown to be an internationally operating software solutions provider. Ictual now consists of the following business units that work seamlessly together to bring the best solutions to its customers. A division of Digicel Group Limited, Digicel Business is the region’s leading full service business solutions partner that delivers value and innovation while enabling enterprises to work better and to connect seamlessly with their customers, suppliers and communities. By delivering the most advanced solutions to SMEs, corporate sector and Government agencies, Digicel Business helps companies to maximise the power of technology to solve their intricate business and technical challenges, whilst managing costs and improving efficiency. Calix is a global leader in access innovation. Its Unified Access portfolio of broadband access solutions, systems, software, and services enables network and business transformation for communications service providers worldwide – allowing them to become the broadband service provider of choice to their subscribers. Visit www.calix.com for more information. Shields is a leader in Global Supply Chain Management with a commitment to superior customer service and environmental excellence. Since our founding in 1979, Shields has been proven leader within the industry, providing customizable, client-driven solutions. 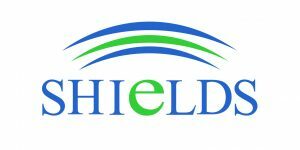 In addition, Shields has team up with Altergy to combine Hydrogen Fuel Cell Technology with 24/7. Cable & Wireless Communications (CWC), now part of Liberty Global under the LiLAC Grou[pdf-embedder url=”https://canto.org/wp-content/uploads/2014/05/american-axess-2.pdf”]p, is a full service communications and entertainment provider and delivers market-leading video, broadband, telephony and mobile services to consumers in 18 countries. Through its 2 business division, CWC provides data center hosting, domestic and international managed network services, and customized IT service solutions, utilizing cloud technology to serve business and government customers. CWC also operates a state-of-the-art submarine fiber network – more than 48,000 km – the most extensive in the region – in over 30 markets. Ledefyl offers infraestructure solutions and services for telecom and IT companies for network deployment and management. We base our success in our 20 years of service experience, a comprehensive product portfolio combined with in-house software applications and profesional services, delivering tailored solutions just in time for our customers. We will do whatever is needed to deliver good quality of experience to our customers, having ISO quality certified process and proactive attitude. 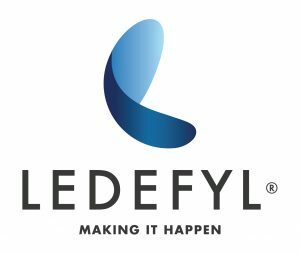 Ledefyl has a vast experience in network projects, a team of skilled professionals, deep knowledge of CALA market and an entrepreneurial spirit that drives us to look for new projects. American Axess is a fast growing leader in the integration of voice and data solutions in the Americas and the Caribbean. We are a privately owned company focusing our business model on the strong relationship and large provider/partnership base we have built and continue to strengthen in both regions. Through our strategy of 1 Provider, 100+ choices we offer the appropriate and perfect product portfolio on a world-class carrier experience, encompassing Private Lines, Internet and Professional Services. Started in 1998 as a spin-off company of the internationally recognised Department of Information Technology (Intec) of Ghent University in Belgium. Comsof provides consultancy services and develops customized and dedicated software solutions for the telecom industry. FiberPlanIT makes FTTx network planning smart, fast and easy:both in the strategic planning phase – when estimating costs, comparing technologies and maximizing Return on Investment – as during detailed network design – when creating optimized to-build plans while integrating field survey data. This is possible thanks to FiberPlanIT’s unique automated and optimized design capabilities based on GIS data. TelecomCostExpert is a top-down cost modeling software platform, designed specifically for the Telecom market. It enables to model complex cost structures, while giving a crucial insight in the cost structures in a clear and reliable way through its unique reporting capabilities. Comsof’s team exists of highly-skilled professionals with an extensive technological knowledge and experience concerning telecommunications, regulatory environment and software development. They are continuously giving our customers the necessary support and consultancy to make their projects a success. FleetFare connects travelers to official drivers. Our software helps manage, track, and maintain commercially registered drivers and tours using country registered and approved vehicles. Subex Limited is a leading global provider of Business and Operations Support Systems (B/OSS) that empowers communications service providers (CSPs) to achieve competitive advantage through Business and Capex Optimization. Subex’s product portfolio powers the Revenue Operations Center (ROC®) and its best-in-class solutions such as revenue assurance, fraud management, asset assurance, capacity management, data integrity management, credit risk management, cost management, route optimization and partner settlement. Subex also oﬀers a scalable Managed Services program with 30+ customers. 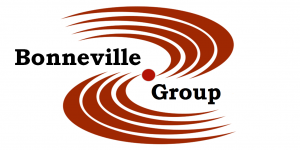 Bonneville Contracting and Technology LLC is a telecommunications contractor, security systems integrator and electrical contractor. With the home office in Puerto Rico, Bonneville serves primarily customers throughout the northern Caribbean. We also serve Florida USA, and Central/South America. We provide turnkey Inside and Outside plant telecom and CATV construction and design/builds. Municipal, Law enforcement, Military and Industrial security systems construction and design/builds. Fiber Optics, Wireless, Coaxial, Copper; if it has a cable or antenna, we connect it! Cortelco offers a variety of telephony products for business and residential customers. A new line of headsets and a healthcare product featuring an elastomeric faceplate our featured products introduced this year. Cortelco has been providing telecommunications equipment and solutions for 100 years. We are noted in the industry for our providing quality products and unsurpassed customer service. Visit www.cortelco.com to view our complete product line. Sabre IndusCORTELCO tries, Inc. is a leading manufacturer of communication towers. As one of the largest tower providers in the world, Sabre engineers and manufactures guyed towers, self-supporting towers, monopoles and tower components. Sabre’s towers are designed to carry light to heavy accessory loads. Our guyed and self-supporting towers come in welded or knock down sections, and are perfect for international shipments. Sabre also offers camouflaged monopoles, such as palm trees and flag poles. The American for Internet Numbers (ARIN) is the nonprofit, member-based organization that supports the operation of the Internet through the management of Internet number resources – IPv4, IPv6, and Autonomous System numbers – in its service region, which includes Canada, many Caribbean and North Atlantic islands, and the United States. ARIN coordinates the development of policies by the community for the management of Internet Protocol number resources and advances the Internet through information and educational outreach. More information about ARIN is available at http://www.arin.net. The Latin American and Caribbean Internet Addresses Registry (LACNIC) is a not-for-profit regional organization that is responsible for, inter alia, the distribution and administration of Internet number resources, reverse Domain Name System (DNS) services, and training and capacity building. Incorporated in 2002, the Uruguay-based Regional Internet Registry (RIR) provides its services to entities in all of South America, Central America and Mexico, and some Caribbean territories. In addressing matters of Internet development in this community, LACNIC has and continues to work strategically with other Internet actors including CANTO, CTU, CaribNOG and of course fellow RIR for North America and the rest of the Caribbean, ARIN. LACNIC also spearheads a prominent Internet-for-development initiative in the region since 2013 – namely the Ayitic project in Haiti – where it contributes to capacity building in that community in areas of telephony and network management. Telsuppliers LLC. offers products and Solutions for the Telecom Industry including integration solutions for telecom and industrial applications. We also provide engineering and consulting services to public network providers, private and industrial markets. We can help you with the selection and deployment of appropriate equipment for your application. We have extensive experience to provide solutions for wireless and fixed networks. 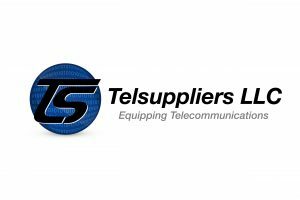 Telsuppliers LLC.. is positioned and committed to cooperate with our customers from planning to deployment. Cyient has an outstanding track record of successfully helping global CSPs achieve their operational and business goals by delivering cost-effective, end-to-end solutions tailored to their needs. Our vast experiences range from network planning and design to GIS, physical and logical inventory solutions, network operations and business services management, telecom infrastructure life-cycle management, system design, application management to help CSPs improve quality, time and cost of designing and rolling out networks. Our demonstrable experience in FTTx, copper and coaxial network implementation is coupled with strong technical knowledge and capacity in providing end-to-end FTTx planning and designing services. At Cyient, our services are unique and personalized. With over 20 years of expertise in providing services and solutions to the telecom industry, our broad-based domain knowledge and engineering experience, we can help you increase network capacity quickly and efficiently, take products to market faster and improve your end customer’s experience. BTC is the first quad play provider in The Bahamas. The company offers a full suite of landline, internet, mobile and television services allowing customers to stay connected throughout The Bahamas. BTC is deeply rooted in community and supports a wide range of culture, youth, education and sporting initiatives. These include Junkanoo, Bahamas Junkanoo Carnival, IAAF/BTC World Relays and CARIFTA. BTC maintains a four year scholarship program with The College of The Bahamas and provides funding for the College’s endowment fund. Just recently, the company signed an agreement for the establishment of an Innovation Lab at the College. The company is jointly owned by Liberty Global and The Government of The Bahamas.